Driving above the speed limit poses a serious risk of injury to both the speeding driver and other motorists, pedestrians, and bicyclists on public roads. High-speed car accidents are more likely to result in serious injury or death in Washington state, where it is estimated that speeding is a contributing factor in at least 30 percent of the hundreds of fatal collisions that happen every year. What Is Considered Speeding In Washington State? Twenty miles per hour in school zones when children are present. Of course, this is a general guideline for speed limits on the three more common types of roads in Washington state. RCWs 46.61.405, 46.61.410, and 46.61.415 allow for altering maximum speed limits under a variety of circumstances. Traveling Above The Posted Speed Limit. Washington state operates under an “absolute” speed limit, meaning that you may be ticketed for driving just one mile-per-hour over the posted limit. Although law enforcement may not always enforce such a strict limit, any driver in Washington state may be cited and ticketed for a speeding violation if they were traveling above the posted speed limit. Driving Too Fast For Conditions. Washington state law also dictates that no person shall drive a vehicle at a speed greater than is reasonable and prudent under the conditions at the time. This means that the posted speed limit may not always be appropriate in certain conditions. For example, it would likely not be reasonable to drive 60 miles per hour in a snowstorm even if the posted speed limit was 60 miles per hour. 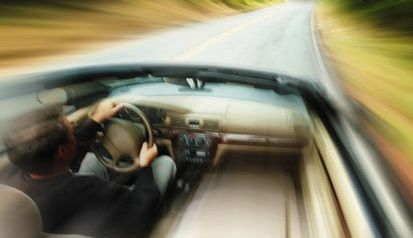 Drivers who violate speeding laws may be held responsible in the form of a traffic citation and other possible penalties. A driver who causes an accident due to speeding for any of the above reasons may also be held liable for any injuries or fatalities that result from the collision they caused. If you or a loved one has suffered serious personal injury or worse after an accident caused by a speeding driver, it is important that you act quickly to preserve important evidence and protect your legal rights and interests. Consulting with a personal injury lawyer may help you determine the best course of action for your case, as well as identifying which damages you may be eligible to pursue compensation for. 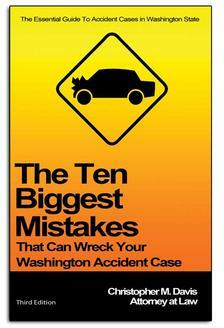 To find out more about your legal rights and how to proceed after an accident caused by a speeding driver, order your free copy of "The Ten Biggest Mistakes That Can Wreck Your Washington Accident Case" by attorney Chris Davis of Davis Law Group. If you want to speak with our award-winning legal team about your case, call our office in Seattle at (206) 727-4000 or use the confidential contact form on this page to request a free case review and legal consultation with our attorneys.